Seattle, WA – Christian Music Broadcasters (CMB) has revealed the results for the 2016 CMB Station of the Year Awards. 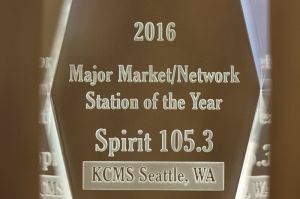 KCMS/SPIRIT 105.3 came out on top for the Major Market/Network Category. This award is presented to the station which shows outstanding achievement in the following areas: On-Air Presentation, Community Service, Ratings, New Media, and Industry Leadership. 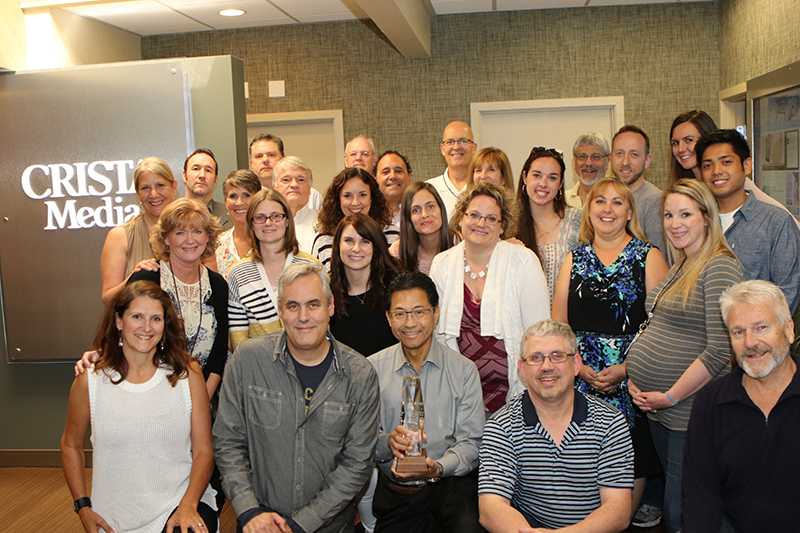 Honored to accept this award, the KCMS/SPIRIT 105.3 team pledges to continue providing exceptional service to listeners, advertisers, donors and the local community. SPIRIT 105.3 is part of CRISTA Media which owns and operates KCMS SPIRIT 105.3 and KCIS 630 in Seattle, KWPZ PRAISE 106.5 in Bellingham, KFMK SPIRIT 105.9 in Austin, and PURE MUSIC RADIO and Sky Country Radio, which are multi-market HD radio and music streaming services. CRISTA Media is a member of CRISTA Ministries; a family of ministries. Previous Previous post: VIDEO: This is CRISTA.